I am a geologist, actually a ‘petrologist’ by training – that is the systematic description of different rock types. It involves a lot of peering down microscopes, but I’ve got to work on some very interesting things in my career, including projects related to disposal of radioactive waste, radon gas and mineral exploration. I came to heritage science as a career change when I did an MSc in Architectural Conservation in 2004 – it brought me into the fascinating world of stone decay and the conservation and repair of heritage structures. 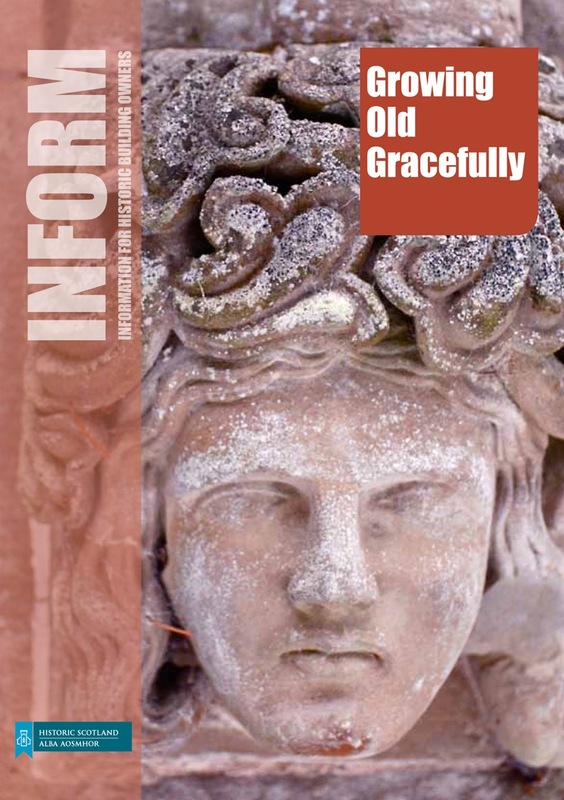 Growing Old Gracefully, one of Historic Scotland’s 50 INFORM leaflets, explains to non-specialists about soiling and decay and why historic patina is sometimes good. What’s your role at Historic Scotland? I joined Historic Scotland in 2010 to manage our Heritage Science and Technical Buildings Research. I also oversee our Technical Education which involves dissemination of research through publications and events. Our work ranges widely from investigating the decay of various materials, looking at new forms of treatment and advising others on how to approach conserving heritage objects ranging from slates to sculptures, cannon-balls to castles. We can’t do all the research that is needed on our own so we have a huge amount of collaboration with organisations and universities throughout the UK and further afield. 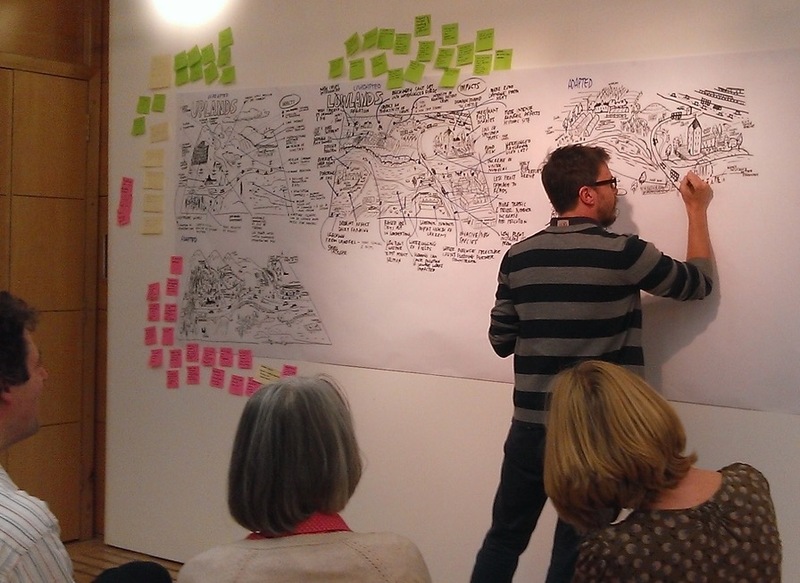 An interdisciplinary workshop with climate change experts to ‘brainstorm’ adaptation actions in different environments; the results captured by a professional graphic artist. What’s been the most exciting or challenging thing you’ve worked in recently? I was asked to set up a climate change programme for Historic Scotland. To me climate change is the biggest challenge threatening our heritage. Average rainfall in Scotland has increased by about 20% since the 1960s, and some parts have over 70% more winter rainfall. This is incredibly damaging, and we need to find better ways of protecting historic structures and sites. Increasing temperatures, rising sea levels and more frequent extreme weather events are also already happening and will all affect our heritage. Carbon reduction and energy efficiency is equally important – following the launch of our Climate Change Action Plan in 2012 we have managed to reduce carbon emissions from Edinburgh Castle by 30%! 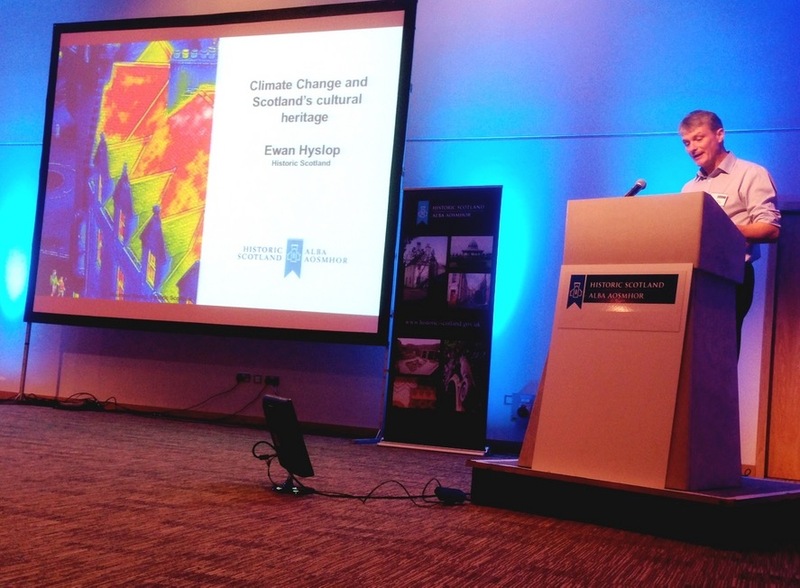 Ewan speaking at the 2014 Historic Scotland energy efficiency conference ‘Towards a sustainable historic environment’. When I go to our sites (we have 345 throughout Scotland) and I see how much visitors are fascinated by our heritage it reminds me how important our work is. It’s important work –heritage science makes a difference and ensures that some of the most valuable and beautiful objects from our past survive into the future.